Royalty-free vector illustration of a businessman pulling his pockets inside-out with the hopes that he’ll discover some money. A dollar sign with angel wings is floating away in the background. 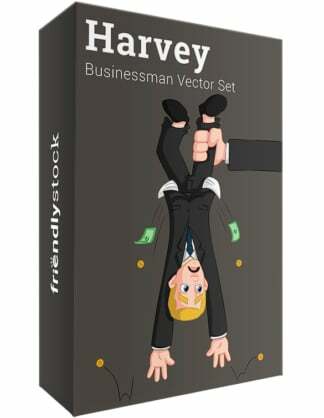 Royalty-free vector illustration of a strong arm shaking a scared businessman upside down to get his money. Coins and dollar bills are falling to the ground. Those darn bill collectors! 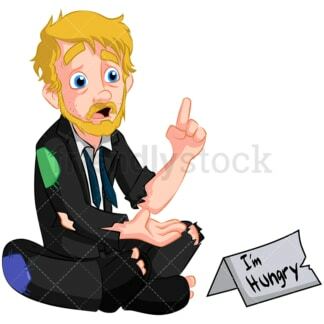 Royalty-free vector illustration of a former businessman turned hobo, sitting on the ground. His suit has holes and patches on it and he has a scruffy overgrown beard. He’s raising his finger and talking as if making a point. Is he still giving advice? Royalty-free vector illustration of a failed businessman begging for money on the street. He’s holding a beggar’s sign in one hand and a money cup in the other and looks disheveled and homeless. Will you pass him some cash? 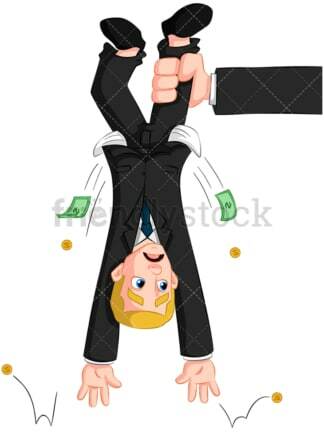 Royalty-free vector illustration of a businessman grasping to catch cash bills that are flying away, just out of his reach. He has a panicked look and can’t seem to catch up. Run Faster! 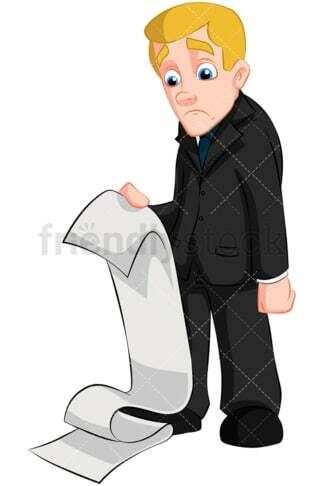 Royalty-free vector illustration of a sad businessman reading a long financial report. The paper falls all the way to the ground where it’s already piled up. Looks like a Monday! 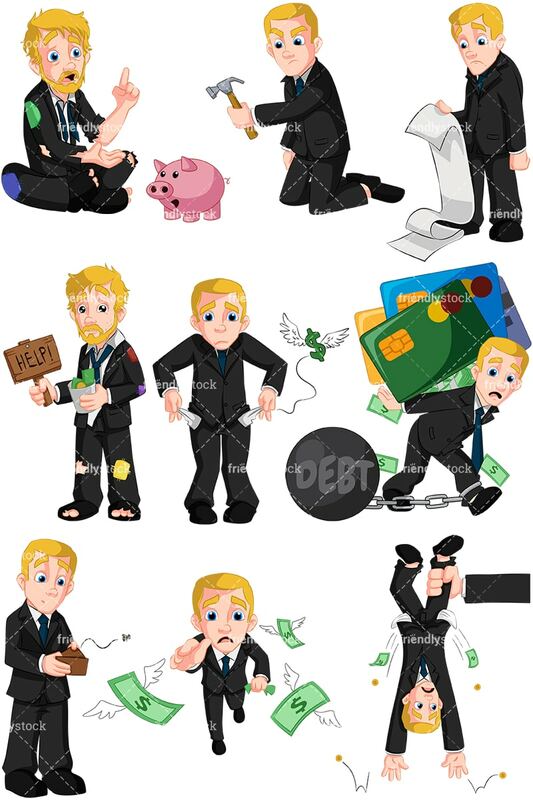 Royalty-free vector illustration of a businessman holding a hammer, about to break into his piggy bank. The situation must be pretty desperate! 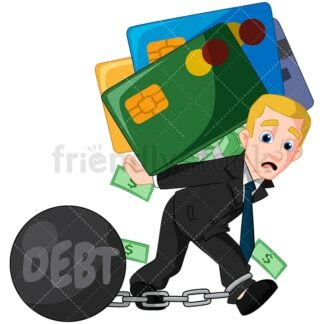 Royalty-free vector illustration of a businessman carrying a load of debt on his back. His feet are chained and he’s having difficulty moving forward.